Part of being a business owner is being social. This is how we build our customer base. In 2014 part of being social means being on social media networks like facebook. You understand that and you know your business needs to be on facebook but you don’t want your personal information on facebook. But facebook requires you to create an account to create a page for your business. Facebook Account – Where you manage your profile, pages and news feed among other things. 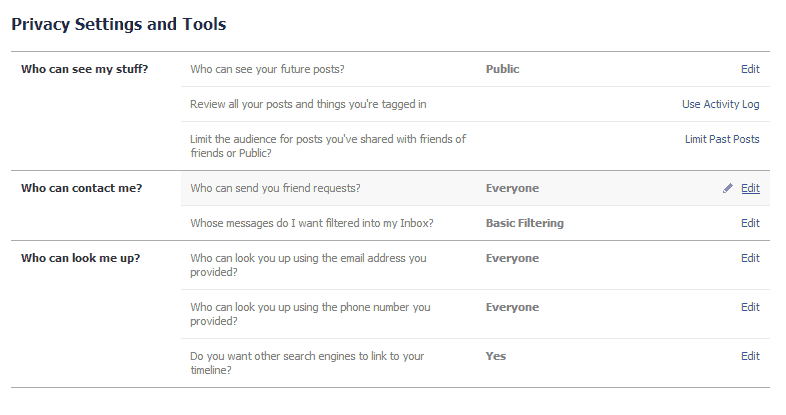 Personal Profile – Your personal information available for friends or the public to view depending on your settings. Facebook Page – Similar to a profile but for your business, group, event, cause, etc. A page does not automatically give visitors access to your personal profile if you have one. Below are two sets of instruction to hide your personal profile. One for those just starting and one for existing users. When you sign up at facebook you have to give a little bit of personal information to begin. This is creating an account for you. Don’t confuse this with a profile or a page. Once you are in, facebook immediately starts asking your for more personal information to create your “personal profile”. Almost all of these questions have a “skip” option on them. Skip whenever you can until you are in your news feed. After you are in you can begin to create a facebook page. When you page is set up be sure to follow the additional instructions below to hide your profile. If you already have a personal profile on your facebook account that you want to hide but want to keep your account to manage your page follow the instructions below. 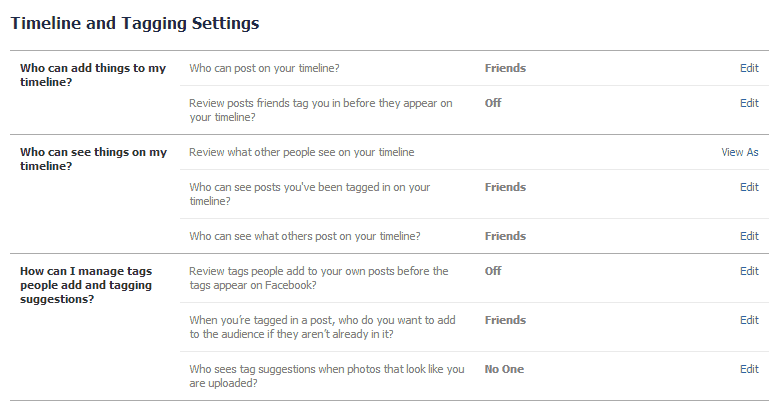 Some settings can only be set as low as “friends only” so if you have friends on your profile they will still be able to interact some. If you want to completely hide you need to de-friend them as well. “Who can add things to my timeline?” – change to “only me” and review to on.